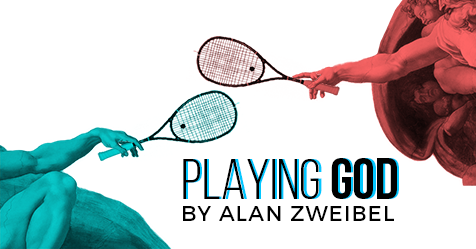 In PLAYING GOD, a divine comedy from SNL's Alan Zweibel (Playing on Air's HAPPY), a self-involved OB-GYN (Scott Adsit of "30 Rock") creates chaos for his pregnant patient (Emily Bergl). Over the objections of a heavenly assistant (Susie Essman of "Curb Your Enthusiasm"), God himself (Bill Buell) challenges the doctor to an outrageous squash match for his faith. Following the play, director Fred Berner and host Claudia Catania join the cast and playwright to talk about their roots in comedy.